Li Wang (University of Aukland) talked about an Information Literacy (IL) model and its application this afternoon at the European Conference on Information Literacy in Istanbul. The UoA has 4 campuses, 245 library and learning staff (including 50 subject librarians!) and she was talking about an IL integration model. 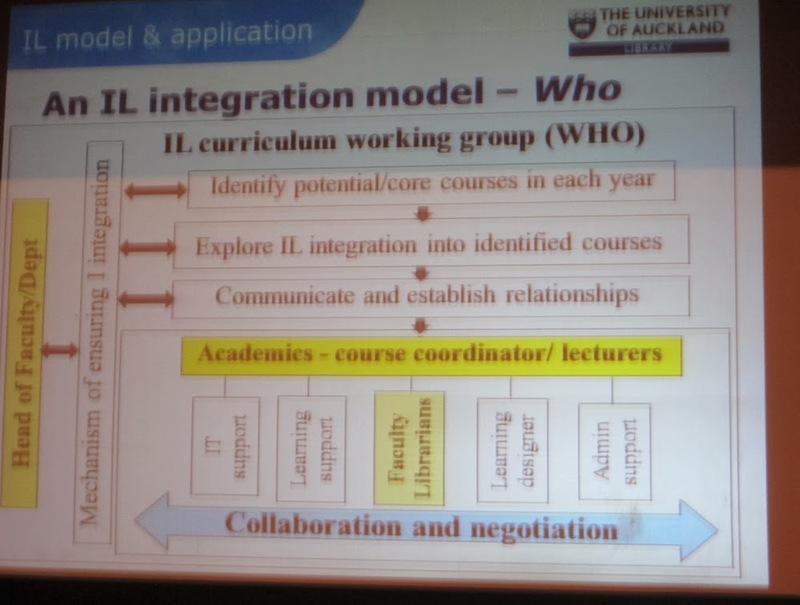 The academic course coordinators, with support of Heads of Department are vital parts of the model, when thinking "who" needs to be involved (see 2nd picture, sorry it is rather blurred). The first picture shows that there are also what and how dimensions. 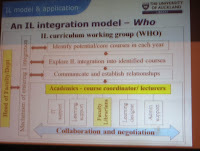 This model has been used for three years at the University of Aukland (and the model arose from her PhD work). Collaborations is very important with principles of shared understanding, shared knowledge, joint dialogue with respect and tolerance, and joint efforts with trust and support. She gave an example of collaborating with engineering staff to develop activities and assessment modes. 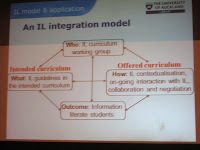 The speaker also gave an example of combining theories of information and learning to progress learning in a curriculum. 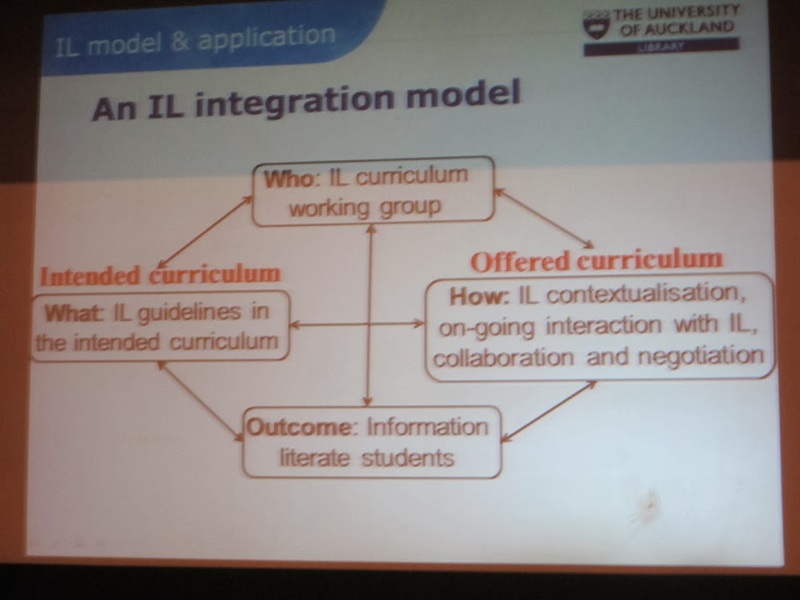 They have developed IL curriculum programme for subject librarians based on this model too: this is compulsory forsubject librarians.